It’s still hard out there for a pimp as “Hustle & Flow” stars Terrence Howard and Taraji P. Henson reunite a decade after that breakthrough hit for a weekly FOX soap opera called “Empire,” a drama that plays like a hybrid between “King Lear” and “Dynasty.” Courtesy of Emmy Award winner Danny Strong (“Game Change”) and Academy Award nominee Lee Daniels (“Precious,” “Lee Daniels’ The Butler”), “Empire” is a defiantly sudsy bit of escapism, a show that embraces its nighttime soap foundation but does so with enough on-screen talent and off-screen flair to keep it entertaining. In other words, don’t take it too seriously. This is not a commentary on the entire hip-hop industry, nor is it something to be dissected cinematically or socially. It is designed to spark conversations on Twitter and have clips from it go viral—“Can you believe Cookie beat up her own son?!? !” Stuff like that. And, judged on its own terms, “Empire” works. Howard & Henson still have undeniable chemistry and Strong & Daniels are going to have a blast figuring out crazy new things for them to do every week. I wish FOX had made more than one episode available and so don’t write me nasty emails if the show quickly turns to mush, but the premiere delivers. Howard stars as the phenomenally named Lucious Lyon, a hip-hop mogul a la Jay-Z or Sean Combs. As seen in several flashbacks, Lyon got his business education on the streets, hustling and flowing his way out of life on the wrong side of the law. His wife Cookie (Henson) took the fall when the cops came calling, and she’s been in jail while Lucious rose to international fame as the head of Empire Entertainment. Just as the company is about to go public, Lucious is confronted with two major events. First, he is informed that he has ALS, and so has roughly three years left to live (give or take a few years depending on the ratings for the show I imagine). Second, Cookie gets out of jail, and she wants half the company. Realizing that he will have to pick an heir for the throne of hip-hop he has created, Lucious basically tells his three sons that they are now in competition for the crown. 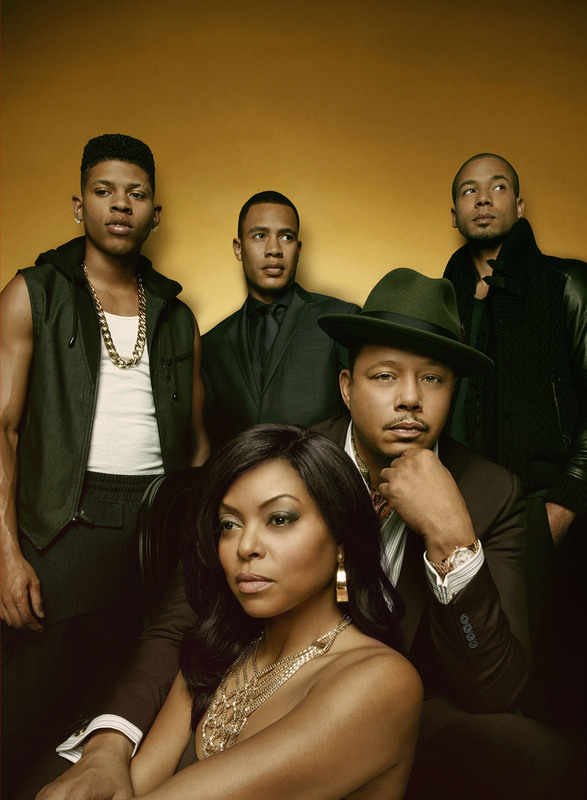 Oldest son Andre (Trai Byers) is the obvious choice, but he’s not a celebrity and Empire Entertainment has always been ruled by the popularity of its King as much as his business savvy. Andre may not have the fame of his brothers or parents, but he does have a Lady MacBeth-esque wife (Kaitlin Doubleday) to strategize their way to the top. Lucious’ favorite son is the youngest, Hakeem (Bryshere Gray), a talented rapper with a bad boy edge. Does he have the intelligence to run the company or does he just want the riches that come with it? Finally, there’s Jamal (Jussie Smollett), a John Legend-esque future star who has never been his father’s favorite given the fact that he’s gay—something dad has never been able to handle. Jamal has poured his father’s abuse into his music while also turning to Cookie for support. The Lyon family is deeply divided, and it should make for some fascinating drama. Television has a long history of fascinating family soap operas from “Dallas” to “Dynasty,” and “Empire” fits more snugly in that legacy than the prestige dramas that have garnered the most attention in recent years. I don’t mean that as an insult; only as a guide as to what to expect. I also don’t believe in the phrase “guilty pleasure”—don’t feel guilty about a show you love—but this program certainly qualifies in the typical definition; it works because Strong & Daniels know exactly what they’re doing in that escapist department. They balance the more extreme, daytime soap behavior with just enough character and smart dialogue to elevate it above the genre. And the show's success could be boosted by original music, which will be available on iTunes the next day a la “Glee.” The tunes in the premiere are a bit hit-and-miss, but there’s one number by Jamal late in the episode that I could see becoming a hit. It also greatly helps the final product to cast two stars as talented as Howard and Henson. The simple fact is that most big name, A-list stars have been going to cable in the last few years, and so getting two Oscar nominees for a FOX drama is an important move for all of network TV. Will audiences tune in to such a degree that the broadcast nets can attract more talent of their caliber? Because while Strong & Daniel deserve credit for pulling off the premiere of “Empire” to the degree that they do, audiences are going to turn in for that spark that Howard and Henson bring to the production. They’re the King and Queen of this "Empire." Only time will tell how long they reign. Next Article: Publicity Meets Policy in Sundance TV's "Babylon" From Danny Boyle Previous Article: The Unloved, Part Thirteen: "Public Enemies"